The 15th edition of the reality series strands 16 castaways in China's Jiangxi Province. Initially, everyone comes together in Shanghai before attending a Buddhist ceremony in HuangPu Mountain's Mi Tuo Temple. Next, the contestants are split into two tribes (Fei Long, Zhan Hu) and marooned on two islands on Zhelin Lake. The castaways get physical as mud flies and tops are ripped off in one of the most physical and dirtiest challenges in Survivor history. A vulnerable castaway believes she's received a gift from God. The second person is voted off the island. After the Reward Challenge, the kidnapped castaway bonds with the other tribe and reveals their own tribe's shortcomings. One castaway overhears crude comments from their tribe mates. The third person is voted off the island. Sherea's work ethic, or lack thereof, is beginning to bother her tribe mates. An ominous tree mail instructing both tribes to meet at Tribal Council prompts fireworks. The fourth person is voted off the island. Jaime and Erik admit to a mutual attraction as a romance blossoms. A tribal switch leads to chaos, tears, fears and cracks in former alliances. The fifth person is voted off the island. One castaway finds the Hidden Immunity Idol at their camp but a rival tribe mate discovers they have it and cuts a deal to benefit them both. At the Reward Challenge, the castaways dine on unusual Chinese delicacies. 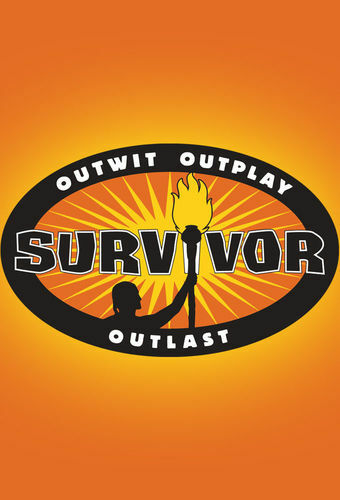 The tribes merge and the fierce hunt for Hidden Immunity Idols continues as private property is violated and one castaway falsely believes three Idols are in play. At Tribal Council, one castaway feels invincible and makes a shocking revelation. While everyone is asleep, a Castaway searches for the Hidden Immunity Idol, collecting random items in the desperate hope that one of them might be it. Overconfidence takes over the Castaways, as seven of nine come to Tribal Council with no bags. A new force to be reckoned with takes on the power players. One Castaway sends affections to someone outside their alliance which bothers some. One vulnerable Castaway may change their fate by using entertaining impersonations to charm others. A recap of the season so far. One Castaway threatens to change things up by blindsiding their best friend in the game. Simultaneously, an alliance considers blindsiding one of their own. And, all the castaways are blindsided by a surprise announcement from host Jeff Probst. While most Castaways shed tears of joy after receiving news from home, one sheds tears of sorrow..but some believe they are crocodile tears. After fulfilling a tribe mate's dream, one Castaway is infuriated when their kind gesture is not returned. An unexpected bond emerges that threatens to shake up the game as it heads into the Final Four. One overly confident Castaway is oblivious to what a close ally is considering to do at Tribal Council. The finalists are questioned by the jury members, who cast their votes for the winner. The winner is announced as the 16 castaways reunite in Los Angeles to discuss their experiences in China.